We love our students and want to see them on time everyday! In Regina Catholic Schools, attendance matters, and we're happy to encourage all our students and families to make school attendance a priority. Every day counts, and missing too much school can have unwanted consequences. Archbishop Donald Bolen hit the court with one of the teams signed up for the Bishop's Cup on Thursday, April 4. Though it was a fun tournament, His Grace did let his competitive side show, and his team did well for it! Several priests also joined the fun, as well as Sister April. Thanks for another great year of play, Your Grace! If your child was born in 2015 or 2016, he or she may be elligible for Pre-kindergarten this fall. If your child was born in 2014, he or she can begin kindergarten this fall. Please contact your nearest school to register. A letter from one of our non-Catholic families on why they chose a Catholic, faith-based education for their children. 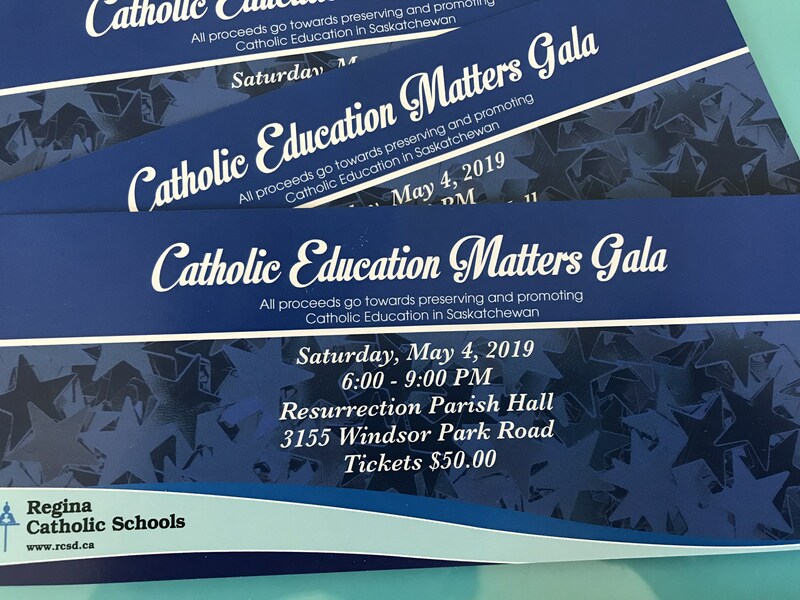 The Twelfth Year Gala is tentatively booked for Monday, May 6, 2019.
is to work with the community and the local church to provide a quality Catholic education that fosters academic excellence and the development of informed, responsible citizens.